Amiradżibi opens to a freeze frame of an elegant young woman standing in front of a mirror. She wears a lot of make-up and her hair is drawn back to form a perfect bun. After a few seconds she starts to move, putting a white veil over her head. As the still turns into a moving image, we realise that the woman is trying on a wedding dress. A fashion designer who stands next to her, urges the woman to try on another outfit. From then on, Who Wants a Dress questions the impression of smooth, stylish female looks that are propagated by the fashion industry by revealing the work that goes into designing and presenting clothing lines. Amiradżibi opens to a freeze frame of an elegant young woman standing in front of a mirror. She wears a lot of make-up and her hair is drawn back to form a perfect bun. After a few seconds she starts to move, putting a white veil over her head. As the still turns into a moving image, we realise that the woman is trying on a wedding dress. A fashion designer who stands next to her, urges the woman to try on another outfit. 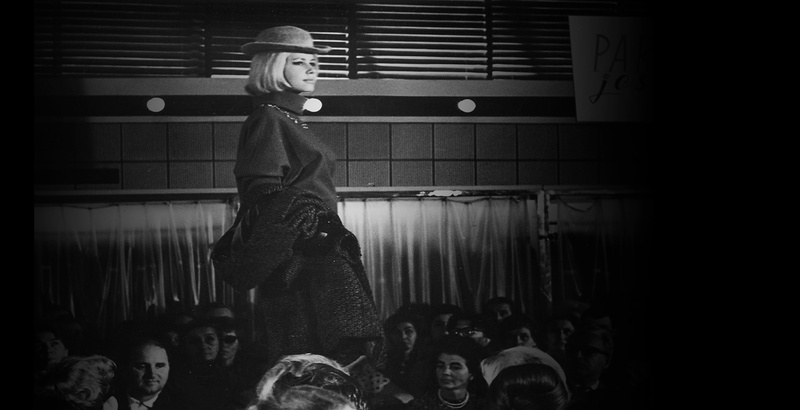 From then on, the film questions the impression of smooth, stylish female looks that are propagated by the fashion industry by revealing the work that goes into designing and presenting clothing lines. Once Amiradżibi’s camera starts exploring the environment behind the scenes of catwalk shows, we witness the daily routines of the staff working at Polish Fashion/Moda Polska, one of a few specialised houses that were designing high-quality clothes for Polish women under Communism. Before we realise that the presentation of a seasonal collection is under way, the film offers a series of observational sequences in a dynamically paced edit that mimics the hectic preparation for the upcoming show. Shots of busy women at sewing machines introduce an aura of speed; close-ups display tense faces on the seamstresses at work. The logo of the fashion house crowns the window above their heads. We come back to the model from the opening of the film. A woman fixes her dress. This time the frame is divided in two. Next to the model, we see a mannequin with the same hairstyle. Ordered around by an older designer in black, the model becomes an object; just like a rag doll, she responds to every single command she hears. This scene is replicated later in the film, with different women who obey the senior designer’s orders. Such observations are intercut with male designers at drawing desks and further shots of working seamstresses. Each of these sequences aims to de-glamorise the modelling profession. The young girls in the fashion house become marionettes for the demanding chief designer, who not only pushes them around but also scorns them as she pleases. Their powerless and depersonalised role is also foregrounded through framing. Faces of the models are often substituted with pictures of matching legs in high heels or with distant full body shots. When the camera finally picks one young model to follow, her expression is miserable. The discipline required to stay in the profession strips her of any pleasures. She observes other people enjoying their lunch, but eats on her own from a plate full of unappealing vegetables. On her way back to work, she sees an old woman with a scale. For a small charge, she gets her weight checked. The obsession with achieving the desired model look makes the life of this particular girl as dull as her plate. Her mundane lunch break is juxtaposed with a glamorous poster, which the camera catches: the same models, whom we met earlier, now beam with joy in a photograph on the wall. Amiradżibi closes with a short sequence from the catwalk show, where nervous models wait for their turn under the watchful eye of their designer. Once they appear in front of the audience, they seem relaxed and proud of their looks. As the film concludes with the models wearing shiny and well-cut outfits, the director’s message is drawn home. The illusion of luxury, on which the fashion industry builds its reputation, comes at the price of its models’ wellbeing and enjoyment. 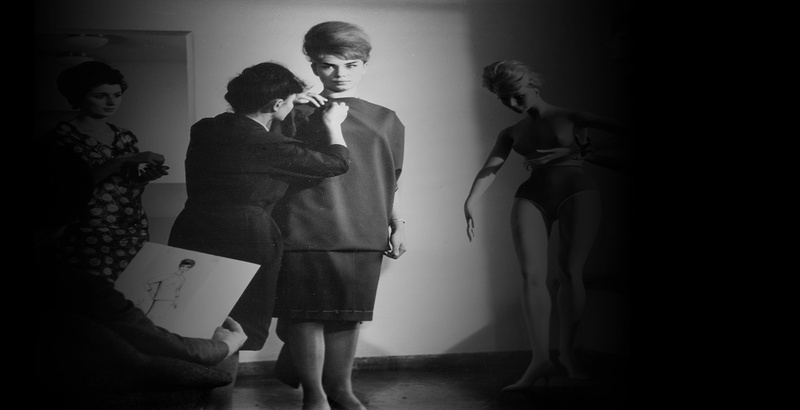 With the senior designer in a power position treating the models like pawns on her chessboard, the film also uncovers the organisational structure of the fashion industry in the 1960s Poland. A structure which resembled those in capitalist countries, but that rarely has been mentioned in the grand accounts of the history behind the Iron Curtain.